Turin Epicurean Capital: Happy Wine Wed with Carema! Carema wine gets its name from a tiny hamlet (barely 800 people!) 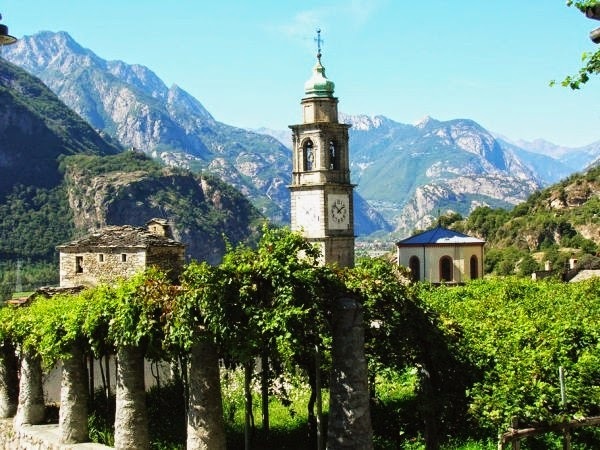 near Ivrea, right at the border with Valle D'Aosta, on your way to Switzerland. So its production area is a bit further north compared to the Erbaluce one, but still close. 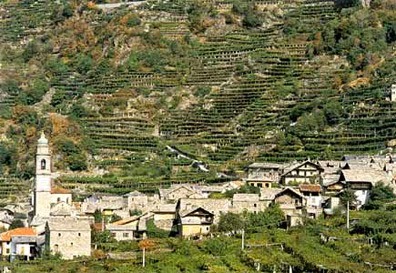 The vineyards are cultivated at at least 1,000 feet in height, on both the Alpine hillsides. According to the official regulations it should be made blending at least 85% of Nebbiolo and 15% of other local varieties, however, many producers use 100% Nebbiolo wine. It is aged a minimum of 3 years; the Riserva are aged 4 years. In its aromas, it reminds us of Barolo and Barbaresco from the Southern part of Piedmont: tar, licorice, camphor, mint, roses, eucalyptus, and strawberries and it's abundant amount of tannin. 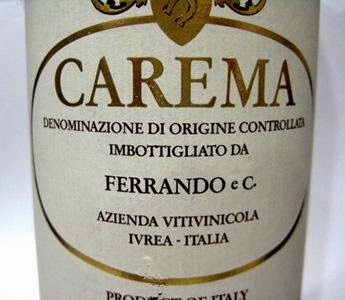 Carema though differs from them because it is light- to medium-bodied and more acidic, with a sleek, linear, elegant texture. It can be too lean and acidic in lesser vintages, but magnificent and long-lived in good vintages. 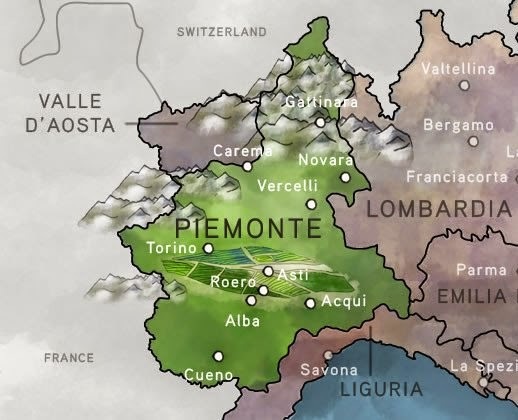 - in the early 2000s fewer than 32 acres (13ha) were planted making it "Italy's best kept secret wine"
considering it the "perfect beverage for princes and lords"
- ancient Romans were among the first producers of this "prince wine"
We recommend you watch this short video about the Carema village in Piedmont, where they make this best kept secret wine! You'll how the vines are tied to the pergolas so that, the grape bunches won't fly away swept by the harsh winds and especially, to fully expose them to the sun. So mark it down on your to-see-in-Italy list and imagine its bouquet in the meantime!